A comprehensive guide containing the latest advertising and real estate marketing campaigns by top builders and development teams in the Greater Vancouver condominium, townhouse and condo home market. Creating exceptional residences with lasting value from inception, design, planning, and construction to the final move in. www.solterradev.com. Presentation Centre 872 Seymour Street Vancouver. T. 604.677.8386 or F. 604.676.8827. Living the sweet life in downtown Vancouver. Where you live is an important as how you live. Sophisticated urbanise and savvy real estate investors agree that Dolce & Vita are an exceptional find and rare opportunity. More than a home of great value, it is destined to be a prized possession. Availability is limited. Exclusivity is sweet. LIVE DOLCE VITA. Priced from $459,000 - $2.4 Million. www.liveatdolce.com or www.vitacollection.ca or call 604.677.8386. New address is 872 Seymour Street in Vancouver. Sunset Grove – Experience apartment living with everything you’ve always wanted… and more. This exclusive collection of luxury one, one bedroom & den, and two bedroom & den low-rise apartment residences at Sunset Grove will be the cornerstone of the unique master-planned community of Sunset Grove. With discerning features such as a large entertainment sized decks, gas fireplaces, spacious feeling design, kitchens to delight the gourmet, a bordering linear park, and the convenience of a vibrant urban scene nearby, Sunset Grove is the ultimate in apartment living. 1 bedroom homes starting from $204,900 and carriage style townhomes starting from $239,900. www.sunsetgrove.ca or 604.532.7711 or visit 6520 194th Street in Surrey. Located in the popular East Clayton neighbourhood on the border of Langley, now is the time to discover Sunset Grove - a new master-planned community featuring apartment residences, carriage-style townhomes and traditional townhomes. As a Solterra registrant, you have an Exclusive Opportunity before our Grand Community Release to select from our next release of homes. With construction of the Sunset Grove Community well under way, we have temporarily closed due to intermittent Community road construction. We will be closed until our Community Grand Release, January 26th, 2008. Also, we thought you might enjoy this recent Vancouver Sun article reviewing the recent success of housing investment in the Lower Mainland, specifically in the Fraser Valley. Please call us today as appointments are limited. *This daily rate was based on a specific home. Daily rate will change based on different home styles and locations. Some conditions and restrictions apply. For exact details on how this figure is calculated and to which home it applies, please see Sales Representative. **Conditions apply. Contact Sales Representative for exact details. The developer reserves the right to cancel these promotional programs at anytime without notice. 2 and 3 bedroom homes still available. Visit www.eaglewindsquamish.com or call 1.877.892.5888 or visit 1240 Pemberton Avenue in Squamish, BC. There’s no denying quality. Often subtly understated yet always undeniable, true quality is omnipresent from the smallest detail to the largest. New Home Buyers Guide and written by Susan Boyce, our favourite copywriter/author of new Lower Mainland properties who provides an unbiased look at the best opportunities on the market. > Long known for their distinctive red brick rowhomes, MOSAIC is now preparing to launch the newest phase at Osprey row homes, their wildly successful master planned community on the banks of the Fraser River in Pitt Meadows. “This is the first time buyers will be able to purchase a detached home built by MOSIAC,” Andrea says. MOSAIC Kingfisher rowhomes are anticipated to start from $479,900. 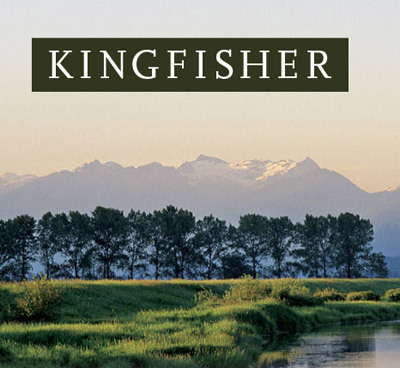 Information and priority registration at 604.461.6027 or www.kingfisherliving.ca. In Surrey, MOSAIC is following the success of KEW with TATE: a collection of 97 Colonial rowhomes. These row homes are architecturally unique in the Clayton Village neighbourhood area. “They remind me of Copenhagen or those wonderful homes in old San Francisco that were always painted in different colours,” explains one buyer. Proving to be a major attraction is Arbour’s location only five minutes from Port Moody and “a bridgeless commute” from Vancouver. “It’s giving people who work downtown the confidence to move away from the city to a neighbourhood where prices are more affordable and where they have easier access to outdoor recreation,” Andrea says of MOSAIC’s Arbour in Coquitlam noting Buntzen and Sasamat Lakes are two long-standing favourites. Arbour homes by MOSIAC are anticipated to be priced from $379,900. Information and priority registration at 604.696.1502 or www.arbourliving.com. For more information on current and upcoming MOSAIC communities, visit www.mosaichomes.com. 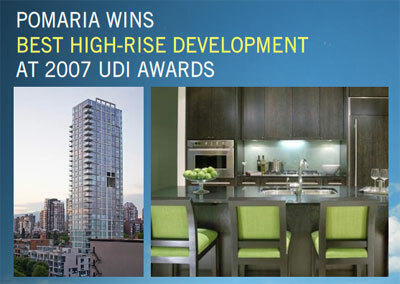 We at The Qualex-Landmark Group of Companies are thrilled to announce that on October 3, 2007 at the Hotel Fairmont Vancouver, Pomaria (our newest downtown Vancouver high-rise) was recognized by the Urban Development Institute (UDI) as the Best High-rise Real Estate Development for the 2007 awards. The UDI Awards for Excellence honour real estate property projects representing superior and innovative forms of development and are held every other year. This means that eligible entries accumulate over two years and the competition can be very stiff. While we are very pleased with the recognition for all those who worked to bring Pomaria Vancouver Condos to fruition, we are even happier to be completing this landmark project and turning over the keys to purchasers. This award from the UDI bodes well for the lasting value created for our new homeowners at Pomaria Condominiums. This level of excellence is what we at Qualex-Landmark aim to achieve with every residential real estate project we undertake. For those of you who have helped us develop and build our homes, and for those of you who have placed their trust in us and purchased a home, we thank you for your continued support. Additionally, we are very excited to introduce two of our newest high-rise communities in Greater Vancouver and Calgary that will be coming to market early next year. Tower One at LUXE Living, located in the desirable and central Brentwood area of North Burnaby, British Columbia, is a 25-storey building with 132 beautifully appointed homes. For Priority Registration visit: www.liveatluxe.com “Following the light of the sun, we left the Old World." – Christopher Columbus Thank you for registering your interest in LUXE Condos, located in the Brentwood area of North Burnaby, between the Brentwood and Holdom Skytrain Stations on Douglas, just south of Lougheed Highway. We’re keen to shed some light on what it will be like to live at North Burnaby LUXE Condominiums. For most, you might associate LUXE Residences with luxury living. And, while that is true, LUXE Condos Burnaby literally means ‘light’. From the unique illuminated glass structures on the rooftops of each of the two towers to the grand sense of arrival through a jewel-like lobby, North Burnaby Condos at LUXE living sets a new standard of living in North Burnaby. Our commitment to enlightened living will be revealed in a series of online videos. The first is now available for viewing. Luna, located in the central Connaught area of Calgary’s beltline district, is the final of three residential towers preceded by Stella in 2004 and Nova in 2006. Luna is a 31- storey building with 217 generously proportioned and luxuriously finished homes, where dreams can truly turn into reality. Long known for their distinctive red brick rowhomes, MOSAIC is now preparing to launch the newest phase at Osprey row homes, their wildly successful master planned community on the banks of the Fraser River in Pitt Meadows. “This is the first time buyers will be able to purchase a detached home built by MOSIAC,” Andrea says. It’s the event BC residential building industry waits for every year. A gala cebration honering the crème de la crème among the people who build, renovate and market BC’s finest homes, the Georgia Awards remain te most eagerly anticipated and coveted public recognition of excellence in the province according to S. Boyce of the New Homebuyer Guide. Finalists are announced in November, but it’s almost four months before Georgia Award contestants and consumers/homebuyers discover who will take home gold in 48 categories. And so, on Friday, February 8th, 2008, some 800 people gathered at the Westin Bayshore to find out who that select group would be. Innovation and Inspiration were the keys to this year’s winners of the BC Georgia Awards for residential developments. With BC’s construction industry estimated at almost $125 billion annually, competition was stiff – up to five finalsts vying for top honors of the 16th Annual Georgia Awards were clearly marked by balance. No one company swept the results as has sometimes happened and winners came from throughout the province with Vancouver Island showing a stronger presence than in previous years at the Georgia Awards for BC residential projects. 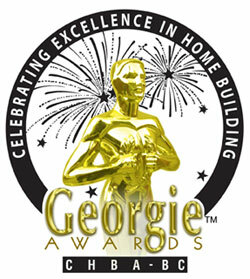 For complete list of winners of the BC 16th Georgia Awards, check out the CHBA-BC website at www.chbabc.org. True connoisseurs of life don’t buy a home for what lies within. They must have an affinity for the neighbourhood; the vibes they feel; the ambience of al that surrounds them. True, once inside their residences a certain luxurious relaxing homecoming is a bonus… welcome to the lavish living at Ellison Lofts in Yaletown Vancouver. Published by Bill for the New Home Buyer’s Guide. If penthouse heaven is your dream, then Ellison’s penthouses which boast sophisticated spacious living of this magical city are your answer. For the sophisticated and most discerning downtown aficionados, Ellison Yaletown Lofts in Vancouver offers superlative living both sleek and stylish: signature homes with your stamp on them. Visualize exposed concrete walls showcasing massive fir beams and expansive overheight ceilings. Massive 25 foot terraces offer exceptional outdoor living, perfect for entertaining and watching fall colours transform the city. Explore your surrounding of luxurious opulence where European chic and Yaletown buzz coexist. This I the quintessential downtown Vancouver lifestyle where food, dining, shopping, and nightlife are your neighbourhood delights. Yaletown’s Ellison homes is in the heart of all you wish to indulge in. 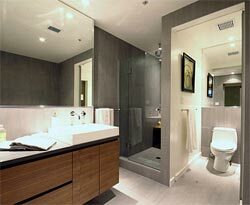 As a visionary of living you will indulge all of your senses inside Ellison Lofts in Yaletown. Embrace the dramatic sliding frosted glass and aluminum wall partition separating your living area from the privacy of the bedrooms. Engage your senses with the heritage sandblasted concrete walls and the original historic fir timbers which add a massive significance to the sleek elegance of the interiors a the Yaletown loft residences at Ellison. Distinctive wide-plank walnut strand hardwood flooring adds an elegant European influence. Then again, you appreciate all that is eclectic in life. Life at Ellison Yaletown lofts is embracing the old with the new in the environment of exciting Yaletown. Welcome to the true loft style wide open spaces of Ellison. After a day of browsing in the amazing neighbourhoods surrounding your Ellison home, you return home. Memories of the Blue Water Café and the latest culinary masterpiece from Books to Cooks are close at hand to your Ellison loft style condo home. Now to create a Mediterranean gourmet delight and at Ellison, your gourmet kitchen is happy to oblige. You will certainly kick it up a notch when you see the edge grain walnut cabinets and engineered stone quartz countertops just waiting to hold your gourmet delight at home at Ellison downtown Vancouver lofts. Top of the line stainless steel Jenn-Air appliances make cooking a breeze and the custom designed kitchen island with built-in storage adds that extra convenience. Ellison Yaletown adds colour to the palette of life. Abundant in suite storage space and extra full capacity storage lockers make life so much more convenient. Bathrooms at Ellison loft style condominiums are pampering havens featuring a gorgeous walk-in shower with built0in bench and overhead rain shower. Add oh so sleek La Torre basin style sink and floating vanity, and Phillipe Starck soaker bathtub. Ellison is on Vancouver’s Heritage Register which adds a certain appeal to lovers of preserving the old while introducing it into the present. Great care has been taken in the preservation and restoration of the building façade and lobby entrance with the modern touch of structural steel additions to the fifth and sixth floors at Ellison Yaletown lofts. For inspirational living, I recommend the penthouses at Ellison lofts in Yaletown Vancouver with their relaxing terraces. Why? Simply because I love perfection in my environment nad once you see them you wil agree. The perfect real estate opportunity awaits for a select few to purchase from a limited number of remaining homes, still at Pre-Construction Pricing at Ellison Yaletown lofts, and to move in within a month. The Ellison provides a superlative combination of value, timing quality, beauty and style in an unbeatable Yaletown location. Rest assured, this historic building which is proudly built by the Holburn Group of Companies, a leader in the development of superior residential communities, is marketed by Vision Marketing System, and offered for sale by Sutton Group West Coast Ltd. The Ellison Presentation Centre is located at 1228 Homer Street Vancouver. Open Saturday and Sunday from 1-5pm. For further information call 604.899.2038 or visit www.ellisonliving.com. Get Free DubLi Credits for Reverse Auction!